Preserving the royal heritage, culture and traditions of India, and presenting themmeaningfully to our guests in the 21st century. Becoming the leaders in heritage hospitality, offering world-class facilities and unique holiday opportunities for our guests from all over the world. Atithi Devo Bhava: "The Guest is God". 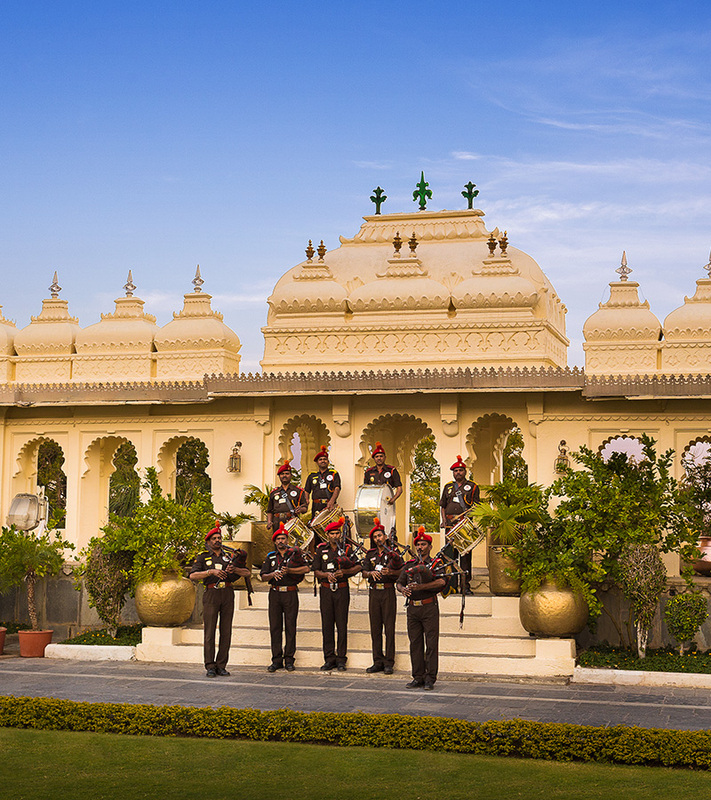 By honouring and serving our guests, as we would serve the Divine, we take forward the Indian essence and tradition of personalised service towards guests within the organisation. Building an ethical and employee-friendly organisation that can strive towards making this vision a reality. Initiating environment-protection programmes and developmental plans to positively impact the quality of life in the present and for future generations.